No headboard? No problem. Here are a few of my favorite alternatives to the traditional headboard that pack some major style punch! 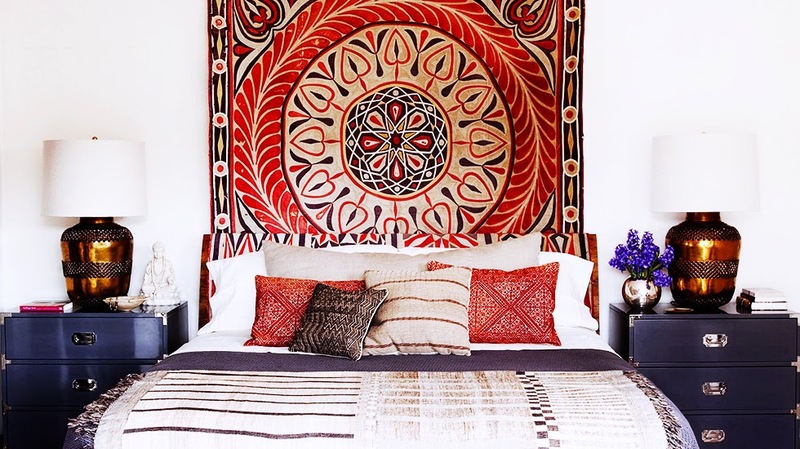 Hang a beautiful tapestry, large blanket/throw, or even a flat-woven rug to add color, pattern, dimension, and texture! Create an accent wall for your bed using wallpaper, paint, or a stenciled design! Prop some larger pillows (euro size works great) against the wall, and layer with varying pillows of different scales and sizes! Create a focal wall as your headboard by adding a photo/art gallery! Just make sure the frames are securely fastened to the wall. 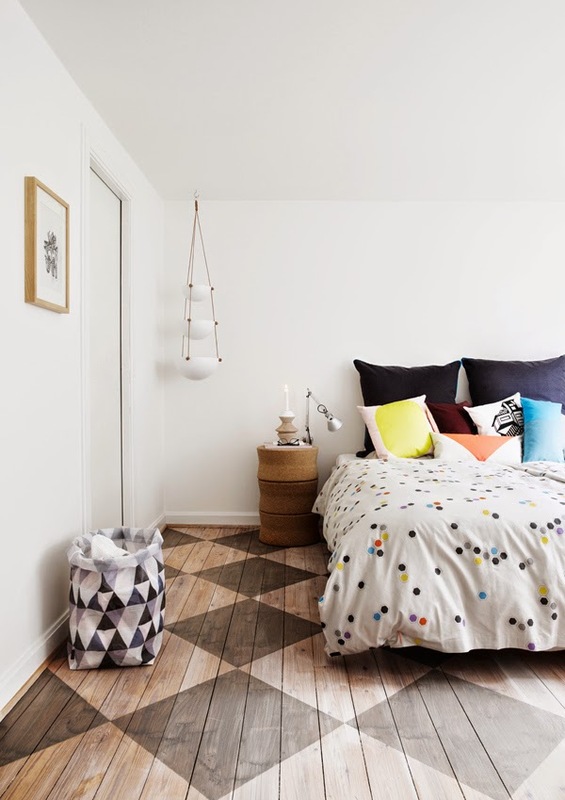 Allow a little "head room" so you can sit upright comfortably on the bed. Draw and paint your own headboard! You can also use decals. 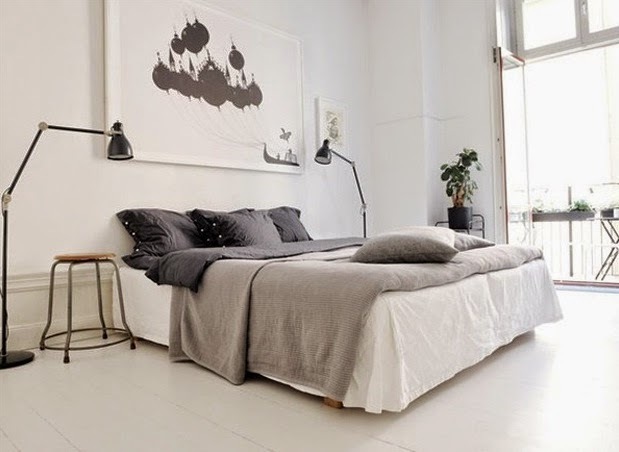 Large, overscaled, "quiet" artwork helps create a serene and calm background in the bedroom. But you can also inject some pattern and fun with a colorful piece of art. No need for a headboard with an overscaled piece of art!